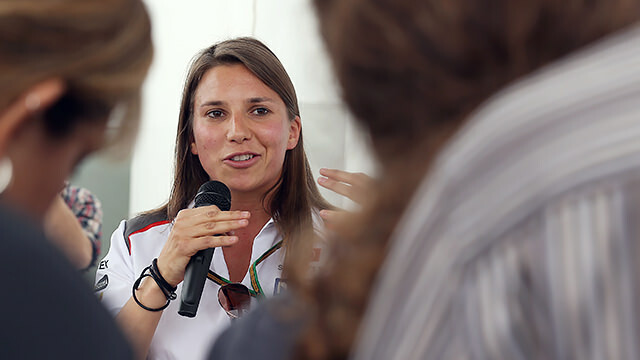 Simona de Silvestro had been doing a great job working her way towards a potential race drive with the Sauber team in 2015, but her deal with the Swiss outfit has fallen through. De Silvestro was also lined up to participate in one of the practice sessions during the US Grand Prix in November, but the team have said they have stopped the training programme due to contractual and financial issues. Simona was originally signed as an affiliate driver, and will reportedly retain that role despite the dissolution of the team’s plans for her. If things had gone to plan, she could have been the first female F1 driver to race since 1976, but that pressure will have to fall back squarely on Susie Wolff’s shoulders instead. It’s not all bad, as the team have said they are looking at “other possibilities” for De Silvestro in the future.